IF YOU ARE NOT SATISFIED WE WILL GIVE YOUR MONEY BACK ! 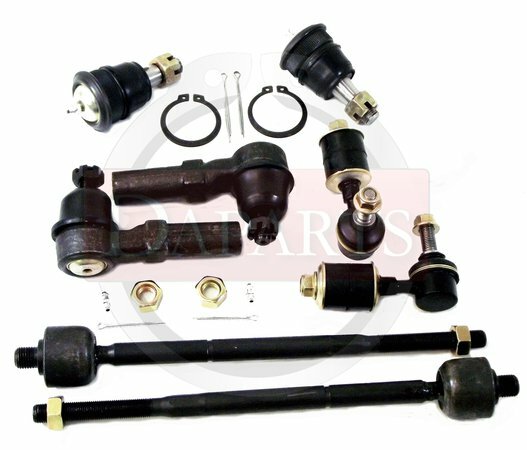 All these parts are aftermarket with the highest quality standard including 12 months warranty. We can ship next day (over night ) in U.S territory. Please, email us to inquire about prices and availability. We will ship to APO/FPO,Guam please inquire before buying. For international shipping quotes, please contact us by email or by phone. International Shipments: some items can be shipped internationally. Buyers: Import duties, taxes, and charges (typically collected upon delivery or pickup) are the buyer’s responsibility and are not included in the item price or shipping charges. All parts must be in their original packaging are not installed or used, if the customer buys the wrong parts or decide not to stay with the parts, the customer is responsible for the return of the items. • The changes have no additional cost. The difference would be charged only if the parts were more expensive to change. The parts that were used or damaged by the customer will not be changed. • All parts must be installed by a certified mechanic, if the parts were shipped wrong or defective, we will send a RMA with label. • All sales are final shipping and handling is non refundable for any circumstances. • No items will be accepted for exchange or refund, after 30 days of your purchase date . Some items may be have a 30% reestocking fee. Factory: All of our aftermarket parts have factory warranty for 3 months after the date of purchase. The customer must return the defective or damaged parts for warranty support. If the customer has installed parts, you will have a deposit for the parts. and we will charge the shipping and the cost of parts, When damaged or defective parts arrive to our warehouse for a refund will be made for the value of the parts. shipping cost will not be refunded. The customer pays for shipping charges. There will be no refunds after 30 days of original purchase. Daparts Store: All our replacement parts are warranted for 12 months after the date of purchase. The guarantee covers 50% of the original purchase value. and is valid only once a year. The customer pays for shipping charges. No refunds after 30 days from the date of purchase. All guarantees must be authorized by DAPARTS STORE. Pictures may not contain the exact items that will be shipped, please do not purchase based on the pictures. The parts or accessories may varying color but the color does affect the application or quality of the product(s) or it's compatibility with the vehicles. Exact items included in the listing are listed in the item decription. Every part can come either with grease fittings or sealed, they are selected at random. If you prefer a specific one please leave us a message when purchasing.